Known for its beautiful stretch of beach and it’s two mile long boardwalk, Spring Lake is a great place for a beach vacation! Or better yet, buy your next home here and make it a staycation! Around the beginning of the 20th century, Spring Lake was a coastal resort. In fact, members of high society from New York and Philadelphia came the homes in Spring Lake to get away from the city in the summer. Today, some of the grand old Spring Lake homes remain. And a few of the grand hotels from the era have been converted into condos. The remainder of the Spring Lake Homes For Sale are in the upper price range. Recently, homes in Spring Lake have sold for over $7 Million. The downtown shopping area is perfect if you are looking for the latest trends or the ideal piece of furniture for your new home. In addition, you’ll find many designer boutiques, local storefronts and fine eating establishments. Spring Lake’s population as of the 2010 Census was 2,993. Spring Lake has a boardwalk that runs along the beach, but beach passes are required to get onto the beach during the summer months..
New Jersey Transit offers rail service on the North Jersey Coast Line to New York City. This is a great destination because there is a train station in Spring Lake. Spring Lake’s School District serves students in pre-kindergarten through eighth grade. 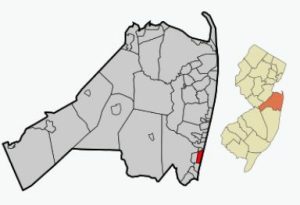 However, high school children attend Manasquan High School. High school students have another option, When they enter high school they canalso apply to one of the five high schools in the Monmouth County Vocational School District. Specialized courses are available in fields such as computer science, communications and biotechnology. Also courses in the medical and science fields are available, among others. Also, there are private schools nearby.